Create a spare key for a friend, house mate or loved one. A spare key is like the ugly duckling because no one understands how important it is until when it is the turn for it to shine—get you out of a lockout or allow you to save money. For those who have experienced a lockout, especially in the middle of nowhere or in an emergency, they have come to realize the importance and value of having a spare key around. The day cometh when it might be your turn to break your car key in the ignition, and when this happen, you will call in the locksmith to extract the broken key from the ignition and let’s assume the lock isn’t damaged, but the key is. Now, how do you get to start your car and move on to your destination without a spare key? Spare keys are valuable assets to all car owners because they present them with more options that turn out to be the saving grace on the long run. Just think about it. If one of these days you somehow lock yourself out of your car, it is certain you’ll either have to call an auto locksmith for a ‘lockout of car service’ or just break yourself in. Either way, you will end up incurring more cost, needless to say, the time you would have wasted in getting the mess fixed. 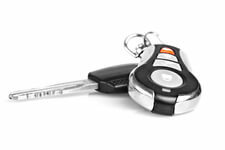 Owning a spare car key will save you the extra cost of seeking a car lock repair if you became stuck in a lockout. The act of calling a locksmith to help during a lockout is not always cheap. Nothing is free even in Freetown. Depending on the location of your lockout, you might even end up paying more than you would have bargain. But with a spare key, it is goodbye to the extra cost. Additionally, cost isn’t just a monetary aspect alone. Take, for instance, you’re locked out of your car with no spare key to wit, but you need to get to the hospital, to the office or you need to make it in time for a precious date. Such unpleasant situations and time wasting can be avoided by getting a set of spare keys from a reliable car key locksmith. Thanks to contemporary technological innovation that has made vehicles to become more intuitive and entertaining, having the ability to personalize the driving experience. There are vehicle keys with the capability that enable drivers to assign their choice of music volume, air condition settings, speed level and such other nifty settings. Owning a reliable spare car key make all of these possible among multiple drivers. Imagine a situation where you have only one spare key and somebody who used your car mess with the various settings that truly made your drive efficient and enjoyable. Certainly, you won’t be too happy about that because you will have to redo the settings again grudgingly. But with a key to spare, your joy of customizable settings will continue. Additionally, a spare car key will enable parents to customize their cars to care for their young drivers and teenagers. For instance, if you don’t want your child to blare music while on the road, you can simply set the volume level at a certain point, and you can also do the same for speed level. 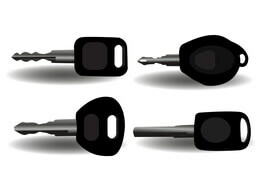 This means you will be able to preserve your settings and that of your child intact; all in one spare for your car key.